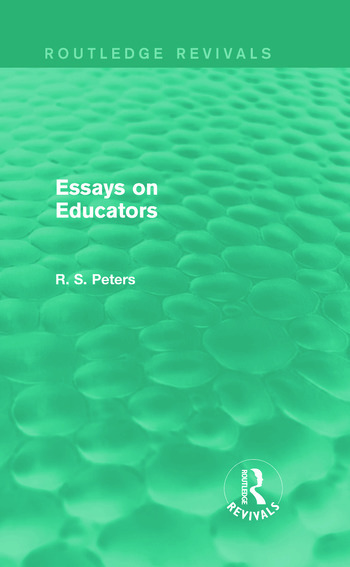 First published in 1981, Essays on Educators is a collection of essays on a variety of themes relating to Great Educators. The book is not only an exposition of the thought of these educators but a collection of critical essays in which their writings are used selectively to raise problems of permanent educational interest and importance. The first part explores the education of the individual in society and the development of reason. The second looks at progressivism and tradition in education and includes a critique of Herbert Spencer’s Essays on Education, which are little known. The third part of the book is concerned with tackling educational problems from an interdisciplinary standpoint.